Sundek is a company focused on developing our people. We are always looking for top notch partners to help us grow and take care of our customers. 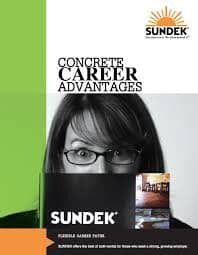 We have a variety of opportunities including positions within existing SUNDEK dealerships, starting your own SUNDEK dealership or for our corporate office. We are always on the lookout for talented individuals who want to join The Premier Network of Decorative Concrete Contractors. Click here for our CURRENT OPENINGS! Join the Sundek Dealer Family! Click here for DEALER OPPORTUNITIES!